Two golf courses in one! A public course containing 27 challenging holes, owned by the town of Falmouth! 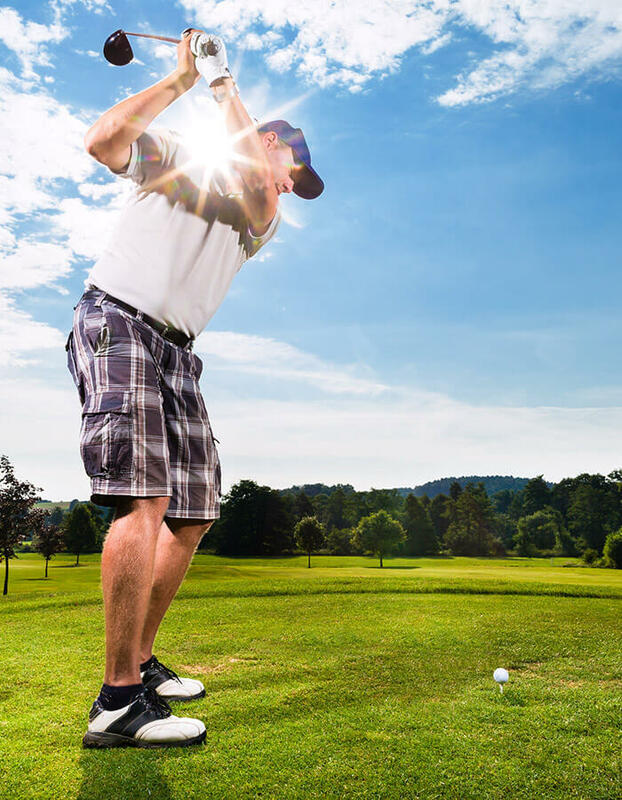 Walk or ride the championship 18 hole, par 72 course, or enjoy the 9 hole, par 37 “Talon” course. 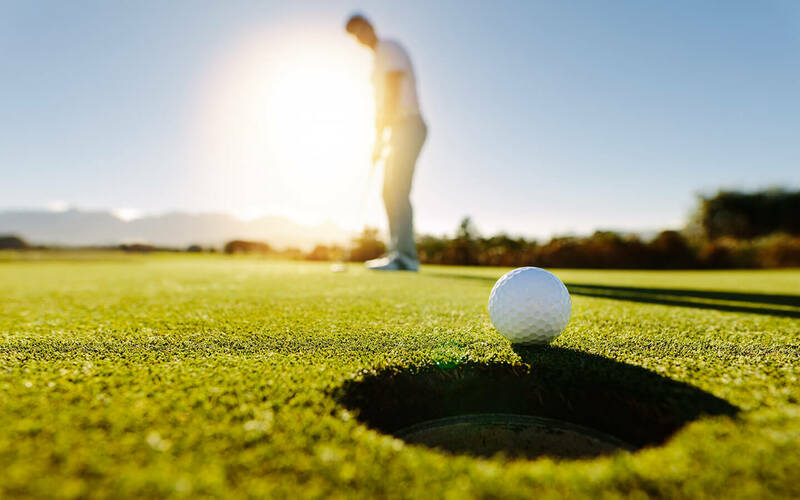 Flat terrain, lush fairways and our immaculate greens will bring out the best in your game. A scenic, public championship 18 hole course on the shores of Coonamesset Pond. Rolling terrain and beautifully groomed fairways have earned this mildly challenging course consistently high reviews from travelers. An 18 hole executive length par 60 course, with mildly challenging holes and great after hours rates. Fishing is permitted from our many docks and bridges. Enjoy the excitement of surf casting from any of our beaches. No license is required for salt water recreational fishing in Massachusetts. Freshwater fishing licenses are required and can be purchased at local tackle shops. If a child is under 15 he/she can fish in fresh water without a license. 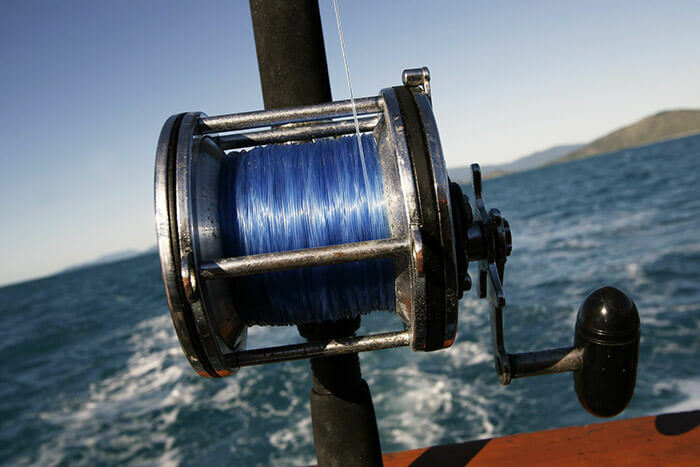 Deep-sea fishing is offered by variety of boat operators out of Falmouth Harbor. We will be happy to assist in pairing you up with a boat captain whose specialization is well-matched to your needs. Just 2 ½ blocks from Palmer House Inn is the bikeway, 10.7 miles of nearly level, easy bike riding, rollerblading or running. The path extends from North Falmouth to Woods Hole and offers breathtaking views of the coastline. Access points at Elm Road, Oyster Pond Road and Surf Drive. Parking at entrance on Locust Street, Falmouth. Palmer House Inn regretfully is no longer able to carry bicycles for its guests due to insurance restrictions. However, Corner Cycles is two doors away and has a substantial selection of rental bikes from which to choose. Scenic 13 mile (round trip) level trail runs along the Cape Cod Canal from Bourne to Sandwich on the Cape side with access to the Buzzards Bay Recreation Area west of the Bourne Bridge. 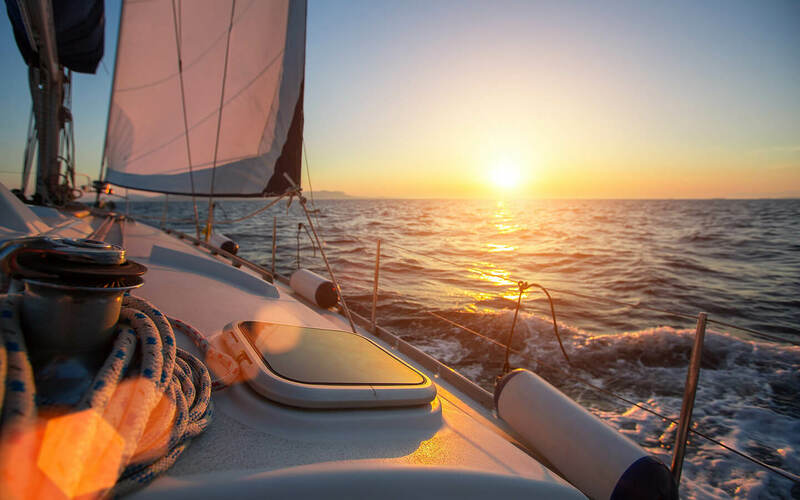 Palmer House Inn has a partner relationship with the owners of a magnificent sixty-foot sailing yacht, which can be chartered for day or sunset cruises and trips to Martha’s Vineyard and even to Nantucket. For the truly adventurous, all night cruises can be arranged. 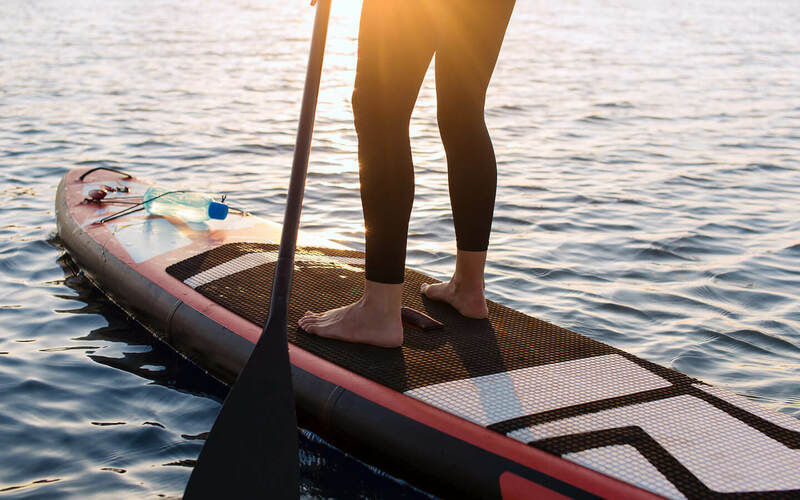 rents kayaks, paddle boards and bicycles and offers lessons and guided tours. Allow 30 to 40 minutes by car to get there. A magnificently beautiful 6 acre garden located on Oyster Pond in Falmouth. In early spring, thousands of daffodils explode into color and are soon followed by equally riotous rhododendrons and daylilies. Four amazing areas to bird watch! New England the way you only saw it in movies! 49 acres of drop-dead gorgeous countryside presided over by a stately pre-revolutionary 1775 Colonial Farmhouse. This romantic spot is also a popular wedding venue. 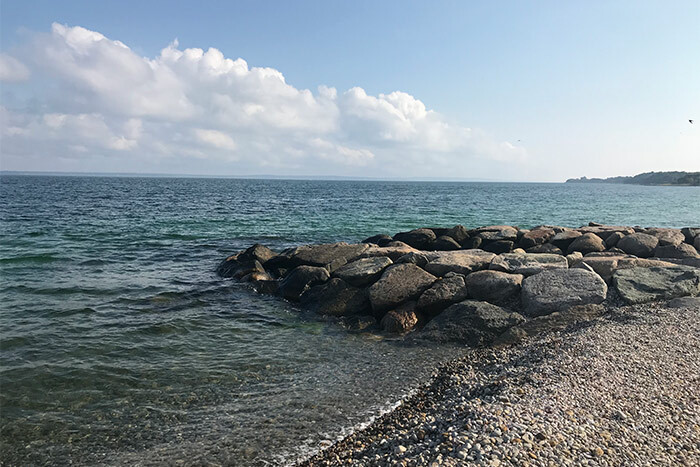 This dream-like fragile treasure is a world unto its own on the shore of Buzzards Bay, and offers bird watchers, hikers and bathers alike an escape from touristy crowds. Parking is limited. Dogs are allowed but must be on a leash. Another slice of New England heaven. Organic farming produces fresh fruits and vegetables that are sold at the Falmouth Farmer’s Market in season. Right off the Shining Sea Bike Path, where it intersects Surf Drive on the shore of Salt Pond is a network of trails that appear to be expressly imagined for the serious bird watcher. Ospreys and swans are among the dozens of species you may find here. Have you ever imagined yourself wandering through a whole forest of holly trees? How about a forest of 1,000 holly trees of 65 different varieties? The Ashumet Holly & Wildlife Sanctuary is administered by the Massachusetts Audubon Society and contains 45 acres, including an eight acre coastal plain pond, nature trails, guided nature walks, bird watching. See over 30 species of dragonflies and rare pondshore wildflowers. Aside from being a twenty-acre working farming and research facility, Coonamessett Farm offers a cafe and general store and fun events, for instance its weekly J-Night, Jamaican food with steel drum music every Wednesday night (in season). Other activities are pick-your-own veggies and fruit and scheduled events, such as Mother’s and Father’s Day brunches, Halloween Pumpkin Decorating and so on. 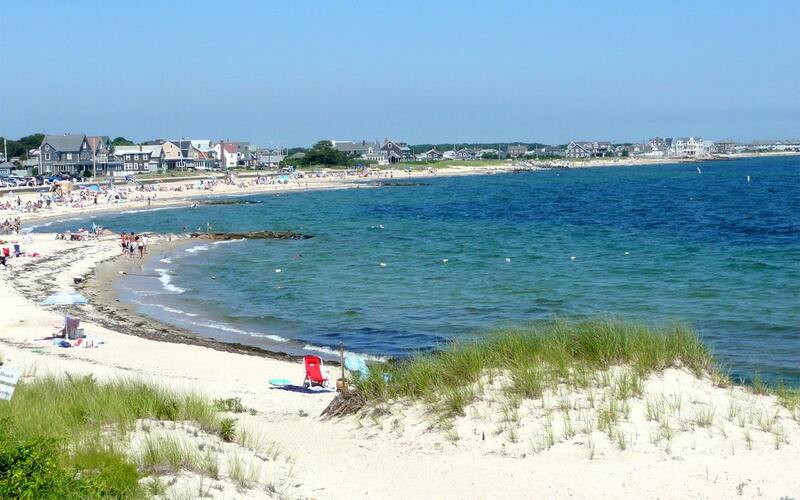 Located on the south shore of Cape Cod, and straddling the border of Falmouth and Mashpee the reserve is a vast estuary of nearly 3,000 acres of open waters, barrier beaches, marshlands and uplands. Bird watchers, swimmers, hikers and fishermen alike will find uncrowded conditions and breathtaking scenery!